Just giving you all a reminder of what we've got for next week. Tuesday April 23 - Match vs Schaefer Academy at JM courts. Wednesday April 24 - Team and Individual Pictures before practice. Wear your fleshly laundered uniform. Thursday April 25 - Match vs Lourdes at JM courts. Saturday April 27 - Century Invite in Rochester. Matches will be played at all 3 high schools in town. This will be a varsity only event so we will have approximately 12 guys play. Bus will drop off the boys tonight at JM when we get back into town. Thanks! No JM boys tennis practice today. I have just been informed our invite in Lakeville scheduled for Saturday has been cancelled. 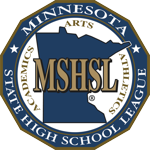 Just letting you know that our match Thursday against Mankato East has been cancelled and will be made up later in the season. I am trying to get practice courts for Thursday and/or Friday but I will let you know if that happens. When we go indoor we ask that each player brings $5 to help cover court costs. Also, I have not heard about being decided with the varsity invite in Lakeville on saturday. When I hear I will let you know. Thanks and drive safely! We are going to start our match against Mayo tomorrow at 330pm instead of 430pm. The varsity will play at JM and JV will play at Mayo HS. Please be at your appropriate site by 330pm so we can get started on time. The reason for this change is that Mayo is going to play another match after us tomorrow and would like to get both matches in before dark. Thanks and I apologize for any inconvenience this change may cause. Our tennis meet today vs Albert Lea and Century is cancelled due to weather. Thanks! Our match against Stewartville today has been cancelled due to weather. We will not meet today but we will plan on our normal practice tomorrow. Thanks! Thanks again for being at the PAC Meeting last evening. I was reminded of another thing pertaining to our middle school students. When we go to other towns for away matches, the bus will pick up the middle schoolers prior to coming to JM to get the high school guys. When we have matches in town middle schoolers need to find their own way to and from their playing site. Hope that makes sense. Just wanted to give everyone an update on our season. After a great week of practice, our top 11 players traveled to Owatonna to play an indoor doubles scrimmage against Faribault and Waseca. The Rockets, comprised of seniors all the way down to a 7th grader, represented JM well with competitive play and great behavior. At the end of the day they walked away with a combined record of 10-0 in matches - a great start to the season! Click on the link to access team schedules. To get Boys tennis schedule go to right side of the page and click on Schedules. Then scroll down and check boxes of Boys Varsity Tennis and Boys JV Tennis. Then click VIEW and our schedule should pop up. Thanks! Welcome to the 2019 Boys Tennis season! John and I wanted to welcome you all to the JM Boys tennis team and this activities page. We also have some information that we want to share with you so everyone can make plans. First of all, our team begins practice next Monday, March 25th at 330-5pm at the JM tennis courts. Please pray for warm weather so that the snow on the courts melts! If weather is looking bad/rainy for Monday please check this page for any updates to practice time and location. Boys, on Monday dress appropriately for the weather and be prepared to do some tennis court maintenance including putting up windscreens, taking care of leaves and snow, and general cleanup. We realize some of you may be gone for part or all of spring break so if that's the case, please email me at joheiden@rochester.k12.mn.us or joshbheiden@hotmail.com to let me know if and when you're gone. Hopefully we'll have most everyone at practice during spring break since we have a doubles invite indoors in Owatonna Saturday, March 30!! The second important announce is that the PAC Meeting is scheduled for Tuesday, April 2 at 630pm in the JM Auditorium. Attendance at this meeting is mandatory for all the tennis boys and at least one of their parents. Our Athletic Director will give a short presentation to all spring sport athletes and then the boys tennis team will meet in one of the JM classrooms (when I know which classroom I'll let you know) for a short meeting. Please let me know if you have any questions about practice, the PAC meeting, or any other details. We're looking forward to a great season! You will need to make sure that your physical is on file in the athlete/activities office and is up to date and does not expire prior to June 8, 2019 or you will need to get a new one. The registration software will NOT allow you to register if you don’t have one on file or will expire. Please go to www.johnmarshallrockets.org to register.